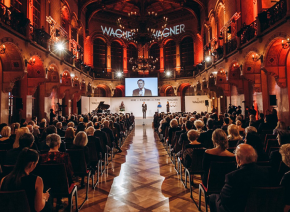 The Vienna State Opera honours artists who have rendered outstanding services to art and to the opera house on Vienna's Ring. Now renowned tenor José Carreras has joined the ranks of those who have received the Vienna State Opera ring of honour. For the first ring adjustment, José Carreras visited the Wagner goldsmiths’ workshop on Vienna’s Kärntner Straße in June 2013. 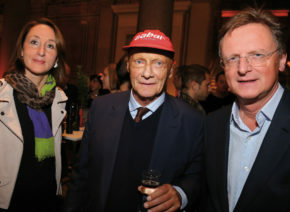 The singer, who developed leukaemia at the end of the 1980s, told press representatives about the concert matinee to celebrate his 25-year “stage comeback” and also about the Carreras Leukaemia Foundation (http://www.carreras-stiftung.de/ ). The net proceeds from the concert will go to the Foundation. 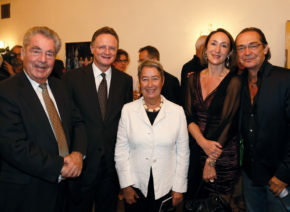 By 15 September 2013, everything was in place: Dominique Meyer, Director of the Vienna State Opera, publicly handed over the ring of honour to José Carreras on stage during his anniversary concert. 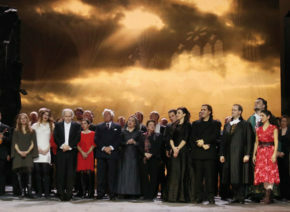 The Viennese opera audience honoured José Carreras with a seemingly unending standing ovation.